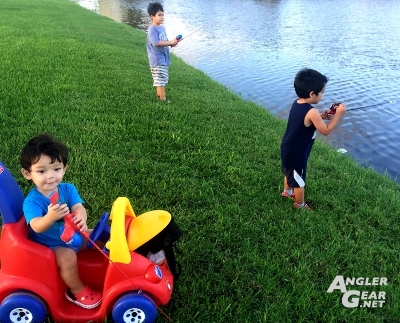 Ever plan on taking a child bass fishing? Awesome! Bass fishing is an addictive sport and past-time. For many it’s a way of life that deserves to be passed on to the next generation. Now that my boys are growing older, I would like to share my passion for the sport with them. As I navigate this path, I’ve picked up on a few lessons along the way. Some of the lessons I’ve learned myself and some were passed on to me from family and friends. 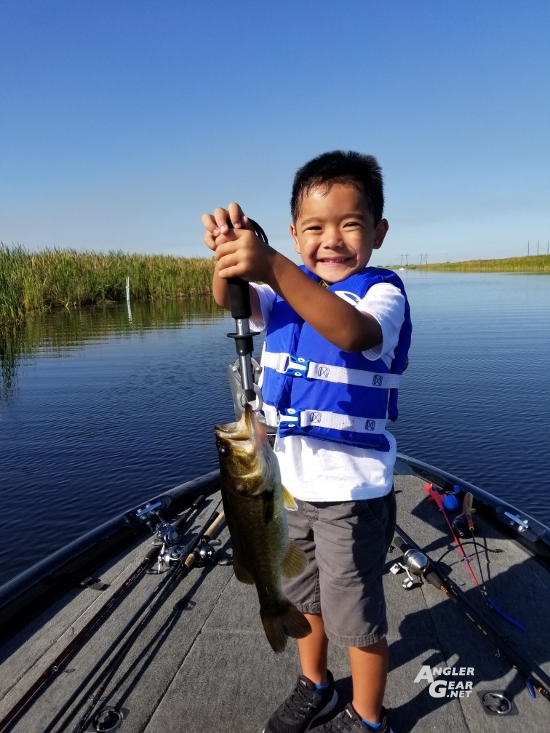 Many of these pointers are from the perspective of taking a child out on a boat to go bass fishing (my usual wheelhouse) and assume that you yourself already have some bass fishing experience under your belt. 1. 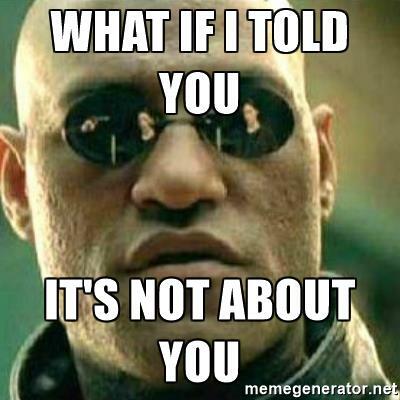 It’s not about you! Perhaps the number one lesson I can share here is ITS NOT ABOUT YOU. The sole purpose of taking this child, whether its your own, or your niece, nephew, or grandchild is to give them your complete focus and attention. Are you a stick, Hammer or Angler of the year? The next KVD? Great! You know who doesn’t care about any of those things? That’s right! 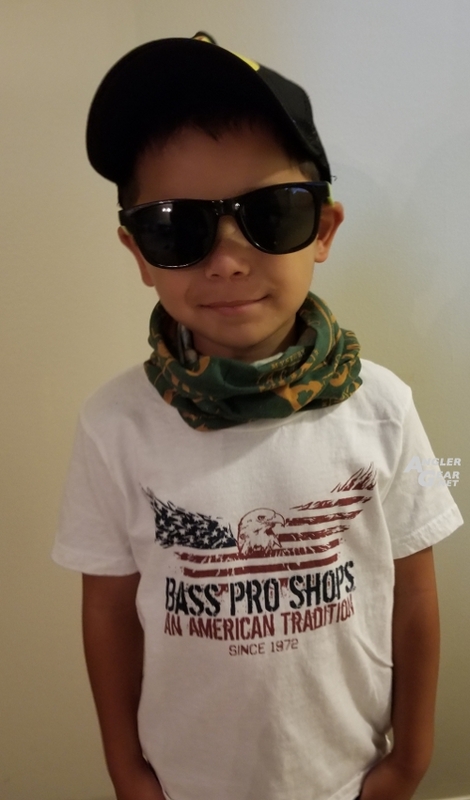 The child you’ve promised to take bass fishing. They just want to have fun out there like any other child. This concept sounds simple on paper, but in reality distractions, patience, and general lack of preparation can get in the way. Remember, the sole focus of the trip should be on them and their success. Who doesn’t like snacks? 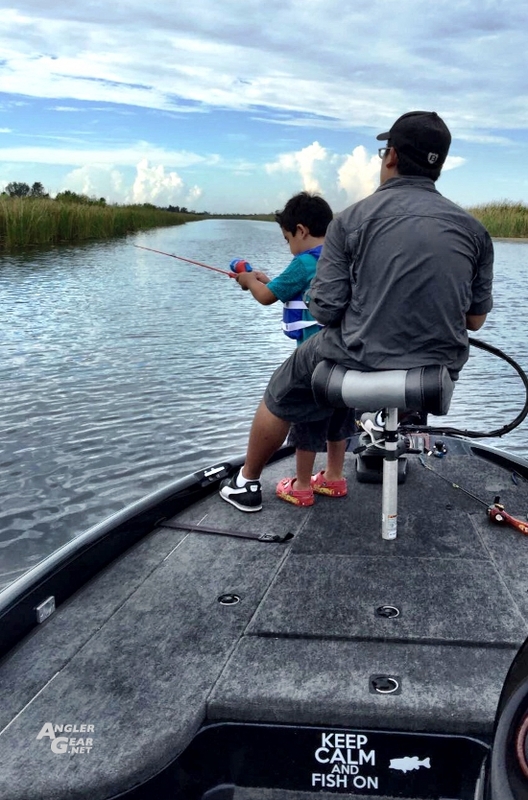 When I was younger my father would take my brother and I out to the Everglades to fish for pan fish, catfish, bass and, honestly, anything else that would bite. I remember we would catch a bunch of things during those trips and how much fun my brother and I had bonding with our father. But you know what I remember the most? My dad was (still is) a Frito’s and pork rinds kind-of-guy. I remember Doritos, M&M’s, and Gatorade as my favorites. My oldest son loves sour candy and popcorn and will use any excuse to get his hands on some. 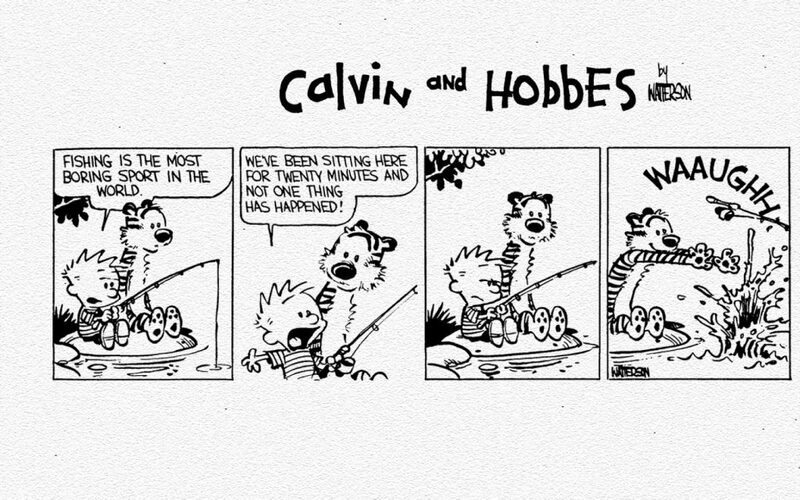 Fishing is a fun excuse! Let your child pick out some fun treats either the day before or morning of your excursion. Fun food ties into creating the atmosphere of a fun experience. I’ll state the obvious here. Go to a place where you expect to actually catch something. The “honey hole”, the “juice”, whatever you call it. This is the place to bring your kid. 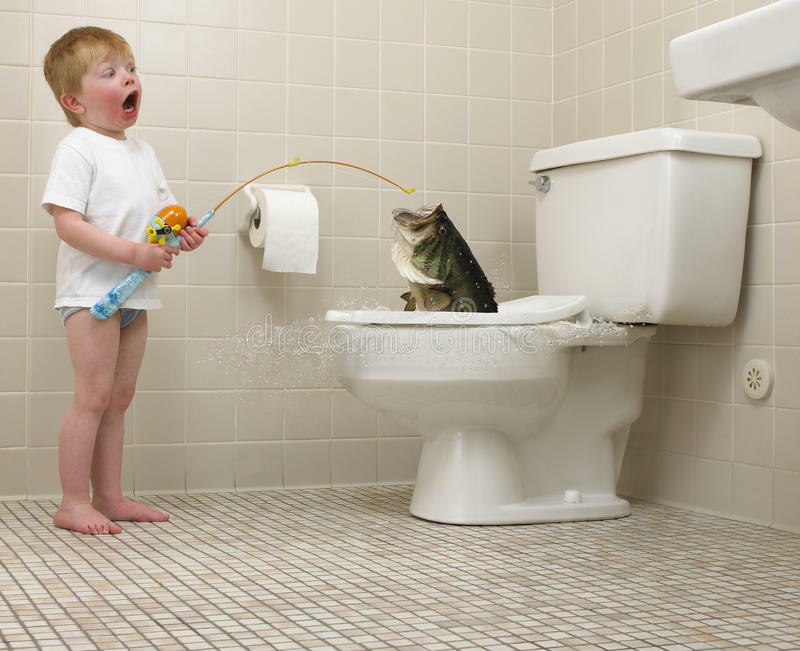 When kids go fishing they want to be catching. Doing some homework or pre-fishing ahead of time ensures tight lines and happy faces. 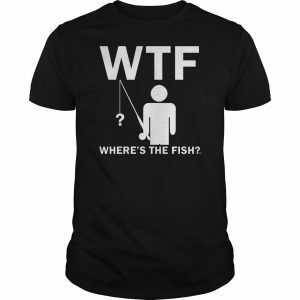 Don’t make your child the next in line to pro-staff for the WTF team! 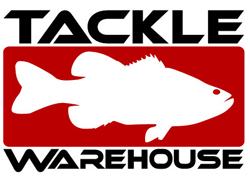 Whether your preference is live bait or artificial, stick to proven fish catchers. I personally like to try out a bunch of new lures all the time to add to my repertoire. You know who doesn’t really care about the new LIVETARGET Baitball Spinner Rig? That’s right! The child you are fishing with. Give them a lure or bait that works and you personally have confidence in. My favorite artificial lures for any novice bass angler is any weedless soft plastic. A Gary Yamamoto Senko or Zoom Super Fluke, Texas rigged on a 4/0 or 5/0 wide gap hook is a great starter bait/rig. These baits have been around forever, catch bass, and are easy to use. If live bait is your deal, make sure you have plenty of bait and plenty of terminal tackle handy. Snags and tangles will likely occur. Off the shelf kids combos usually come with a rubber cast plug of some sort. But really any soft or rubber item with some mass to it will work. Get those casting mechanics going in the yard, field, or even the living room if you’re so inclined. This pre-practice helps A LOT before hitting the water. It ensures your child is somewhat competent before he or she makes that first cast. It should be obvious, but get that child something comfortable to wear. Get them a life jacket that fits properly, and show them how to use it. Use sunscreen and/or bug spray if appropriate. Lastly, talk about bathroom breaks before going. Have a plan on how they can use the facilities if out on the water and explain it to them. The last thing you need is your kid having some poopy cramps when you’re 10 miles from the dock. I actually have a portable bass room for such occurrences. Trust me, its always better to go and ask those kids to go beforehand. Kids aren’t afraid to voice their mind and let you know what makes them happy or not. Be receptive to your child during this experience. If there is a problem, be patient, address it, and keep the excitement going. I inevitably learned that my son doesn’t like holding fish with his bare hands. I got impatient and forced the issue a few times and it still wouldn’t take. 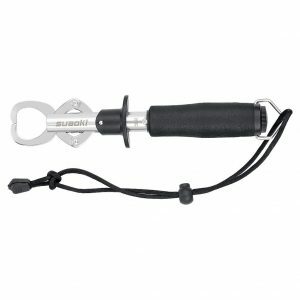 After venting about this issue with a few of my angling friends, I determined the solution here was to use a “fish grip.” They come in a wide variety of styles and sizes and keep his hands directly out of the fish’s mouth. Ever since getting a fish grip, he looks forward to holding up anything we catch. There’s a certain magnetic draw to any fish observable in close quarters. 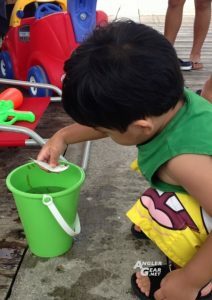 Kids love poking at bait fish or observing the behavior of bass in the live-well. Just watch those child eyes from erratic jumpers. In my boat we play some fun music, go cruising, observe wild life, and sing songs. Whatever lightens the mood. I’m in it to make memories for my son. While the fishing is the main reason we are there, it is not the only reason we’re together. Don’t force it. Children will test your patience all the time. Fishing is no exception. Tangled lines, making a mess of things, and general horseplay will always occur. It’s easy to get frustrated if you are already in the wrong frame of mind. You are the example here. You are the mentor. 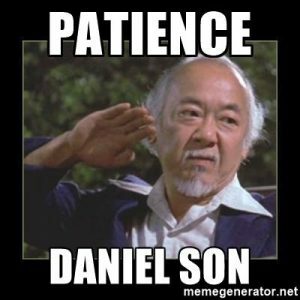 Be patient and patiently enforce correct behavior. Stay positive and focus on the fun aspects of the outing. 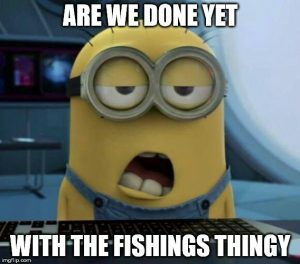 You may not want to hear this but at times an impatient angler will voice their displeasure with you. The key here is figure out out why they think its boring. Is it the lack of action or weather? 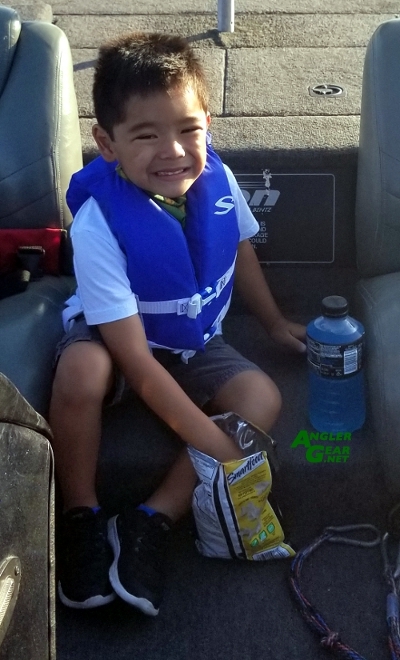 I’ve learned that even if the fishing is good, my son still likes to mix in snacking, music, and boat rides. The simple mix of activity keeps his mind active and his experience enjoyable. Me and my best angling friends can literally wake up with the sun rising on the water and stay until that big old ball passes to the opposite horizon. Just don’t do that to your kid unless they’re truly old enough and ready. Don’t force an all day outing on them. In fact, be fully prepared for short excursions. Start with quick outings. Then you can work your way up to half days and eventually full sun-up to sun-down excursions. Remember guideline #1? It’s not about you! It really doesn’t matter that you planned this trip for a week and took 2 hours getting the boat ready. When the time comes, if they truly want to be there, they won’t want to leave the water. 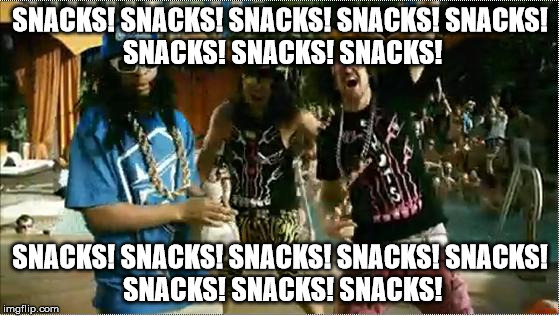 Remember how much I said snacks were awesome? Well you know what completes a great outing with a child? 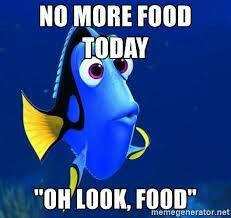 That’s right more food! My oldest son and nephew love Sonic. Especially, the drink selection. Pick a place you both enjoy and talk about the outing and the parts they enjoyed the most. 14. Take lots of pictures, give praise, and Have FUN! Its very simple. 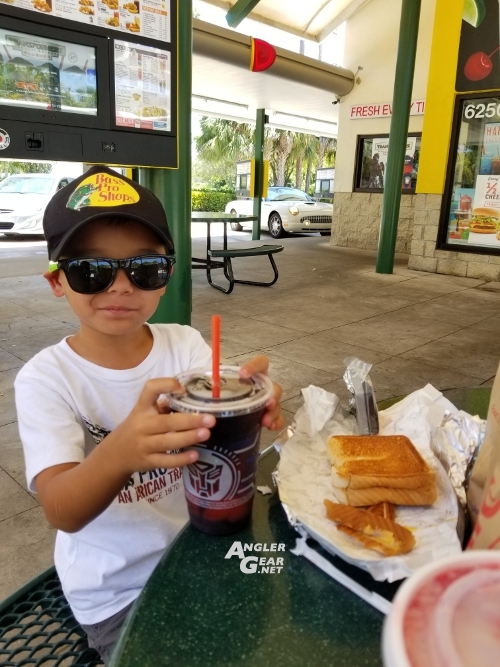 The key to a great experience for you and your child is to be positive. Positive mindset and positive affirmations leads to positive memories for you and your child. Praise your child for helping you get ready for the outing. 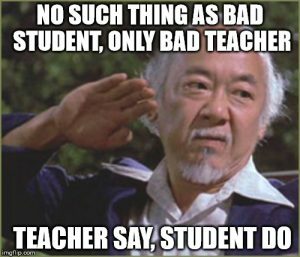 Praise them for doing what you have taught them well and for practicing safe habits. There is nothing more rewarding then seeing a child take to this wonderful sport. Seeing them catch their own fish will make you feel like you have accomplished something impactful. Passing on your knowledge and passion for fishing is a reward you will feel for the rest of your life. Trust me, I’ve experienced it on more than one occasion. Fishing has created many moments my family and I will never forget. Get out there and show a child there is more to life than just You Tube and video games. If done correctly and with care, you will surely make a lasting impression on a child’s life that they may never forget. They too, may get addicted to this amazing sport! 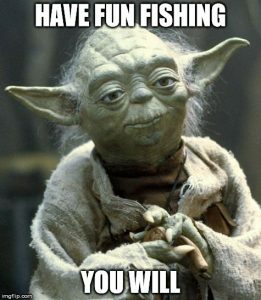 I hope these tidbits and memes help you inspire the next generation of anglers.